It all somehow feels as mythological as the Greek gods, these monumental people, Aristotle, Plato, Socrates etc. of 2500 years ago and their incredible influence on what we do today and their brief appearance on this stage and it's importance. The ideas and philosophies that are the cornerstones of so much of our way of thinking, the cradle of western civilization, democracy, theater, science, literature and more. To walk the same steps that Alexander the Great, Pericles, Aristophanes and other amazing people walked, continually overwhelms me. We went to the Byzantine & Christian Museum (incredible displays and set-up, not seen enough by visitors) and it described how the Christian influence sent everything into the Dark Ages, (or more PC, the Middle Ages). Almost all advances in literature, science, philosophy, came to a halt. All these great cities, ie. Constantinople and Athens, were sacked and pagan art, sculpture and ideas were abolished after 300AD. These Classical ideas of democracy, philosophy, literature etc. were sent into hiding for years. Centuries of oppression and war clearly illuminates that only with freedom of expression can creativity and humankind improve and evolve. The Parthenon atop the Acropolis was built between 447 and 438 BC. 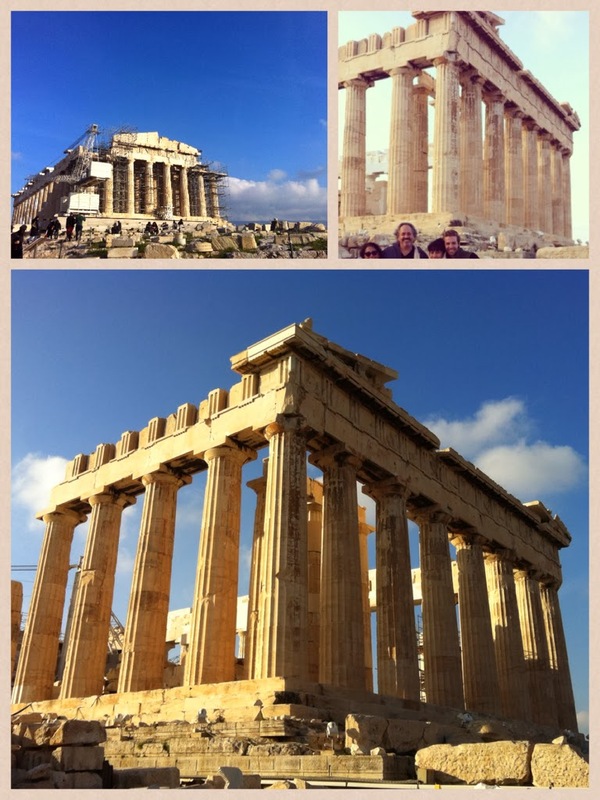 The Parthenon is a temple dedicated to the goddess Athena. Throughout history the Parthenon has been either destroyed by wars, fires, or changed from pagan temples to christian churches by the Byzantine Empire, then mosques by the Turks, the greatest catastrophe was in 1687 an explosion caused by the Venetians trying to capture the Acropolis - - on and on lots of back stories...Such a history! The Ancient Marketplace below the Acropolis. 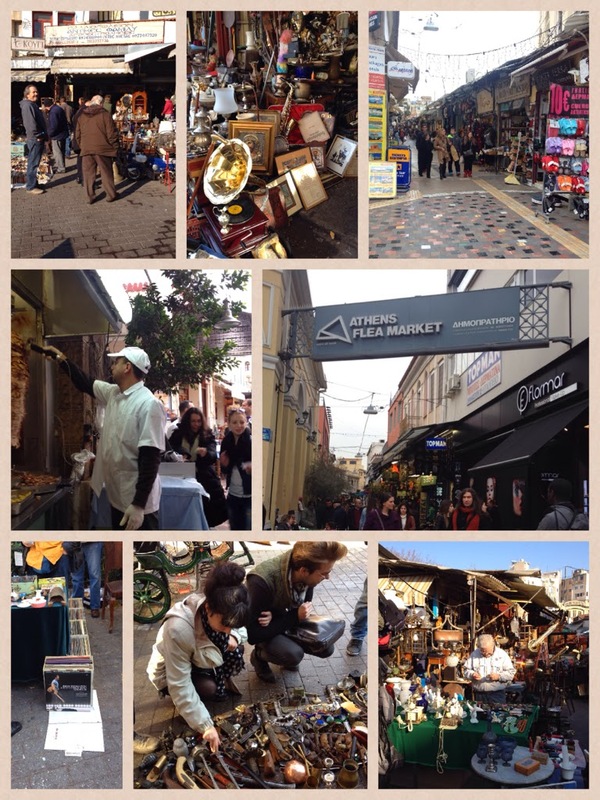 An open-air marketplace where merchants and craftsmen made and sold their wares. The Modern Marketplace on the gates outside the Ancient Marketplace - still doing business! A Temple to Zeus - King of the gods. Married to Hera but the god had many children with many different immortal and mortal women. He was a player. From the Byzantine & Christian Museum - proof that baby Jesus was black. Great pics and thoughts. I am thouroughly enjoying your trip. Cooking Class in Athens, Yamas!